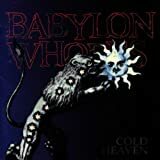 BABYLON WHORES BEYOND THE SUN (V1) LYRICS"
could be seen / Right? All Babylon Whores - Beyond the Sun (v1) lyrics are property and © copyright of their respective owners. All Beyond the Sun (v1) lyrics provided for educational purposes only.